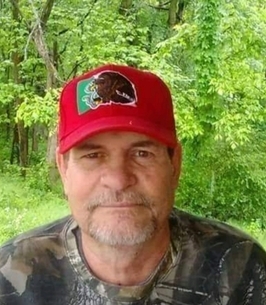 James Harlon Whitworth, age 63, of Clarksville, passed away on Sunday, November 18, 2018. A Celebration of Life will be held at 2 p.m. on Saturday, November 24, 2018 at New Life Deaf church located at 1999 Madison Street, Clarksville, TN. The Whitworth family will receive friends Saturday from 1 p.m. until the hour of service at the church. James entered into this life on December 24, 1954, son of the late Jessie and Lillie Whitworth. He had attended the Tennessee School for the Deaf in Knoxville, TN and was a member of First Baptist Church, Knoxville, TN. James was the former president of Clarksville Community Deaf Club, and enjoyed car shows. In addition to his parents, he is preceded in death by his sister, Rebecca Brooks. Survivors include his wife, Norma Whitworth; children, Gloria Jean Whitworth, Jessie Owen Whitworth, and Samuel Whitworth; sisters, Tammy McGovern, and Carolyn Heflin; brother, Ted Moss, Sr., and grandchildren, MyKala Grace Whitworth, Caitlyn Mae Whitworth, Adrianna Jean Whitworth, Paisley Nicole Whitworth, Brittney Jean Witworth, Taven Lane Whitworth, Jestin Smithy Whitworth, Stoney Dueane Reynolds, and Cheyenne Blackford. In lieu of flowers contributions may be made to McReynolds-Nave & Larson Funeral Home to help with funeral expenses. To send flowers to the family of James Whitworth, please visit our Heartfelt Sympathies Store.